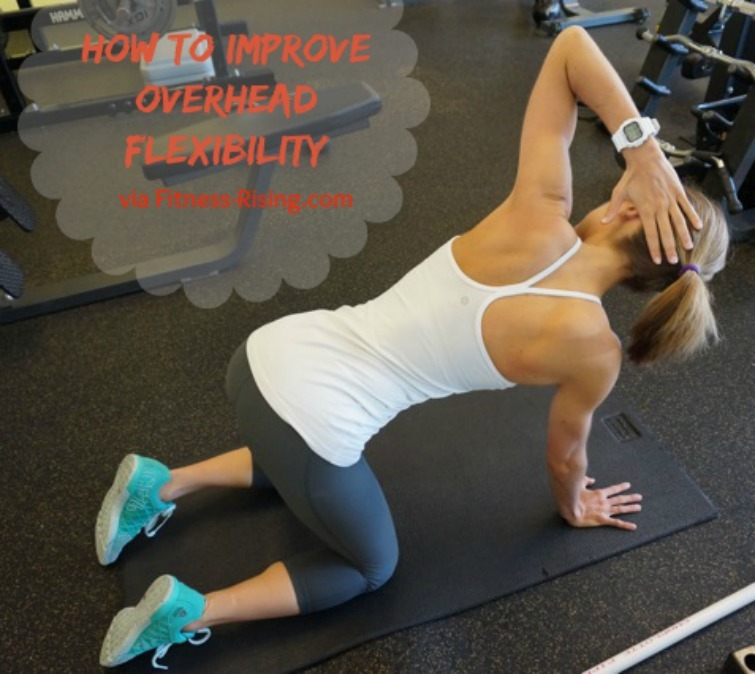 How To Improve Overhead Flexibility via Fitness Rising - Welcome to SarahKesseli.com! Happy Tuesday! I bet you are all surprised to be receiving this post, huh?! ? Well, I have a little something different that I wanted to share with you and I just couldn’t wait! Last week I was approached by the owner of Fitness Rising, Jack Antonowicz, to shoot some pictures for an Overhead Flexibility Workout. Of course, I was really excited because Fitness Rising is an amazing and very highly respected website that is based out of Rhode Island. I am always happy when I get to coordinate with local businesses! I will be honest though, I was a bit nervous because a) I have never been photographed working out before (other than my awesome selfies ? and b) my shoulders were so tight that I knew I was in for it! But I must admit, once we had completed all the exercises, my shoulders/neck/traps/upper back felt awesome! Let me tell you a bit about this great site! Fitness-Rising.com is a free source for daily workouts, fitness news, tips and motivation. Fitness Rising is building a community of fitness enthusiasts – like me and YOU! All their content is sourced from fitness professionals working in the industry. What’s cool is that you can follow the free daily training plan to elevate your fitness! Who doesn’t want to keep improving?! But while our main goal is usually to be lifting more or running longer, we also want to make sure that we spend time on flexibility so that we can achieve those goals. Flexibility will help to improve your range of motion, so that you are able to lift your heaviest with proper form and without injury!!! Head over to Fitness-Rising.com to see the full flexibility routine complete with me demoing each exercise! Also, make sure to leave me a message below to tell me if you did it and how (amazing) your shoulders felt after! ?